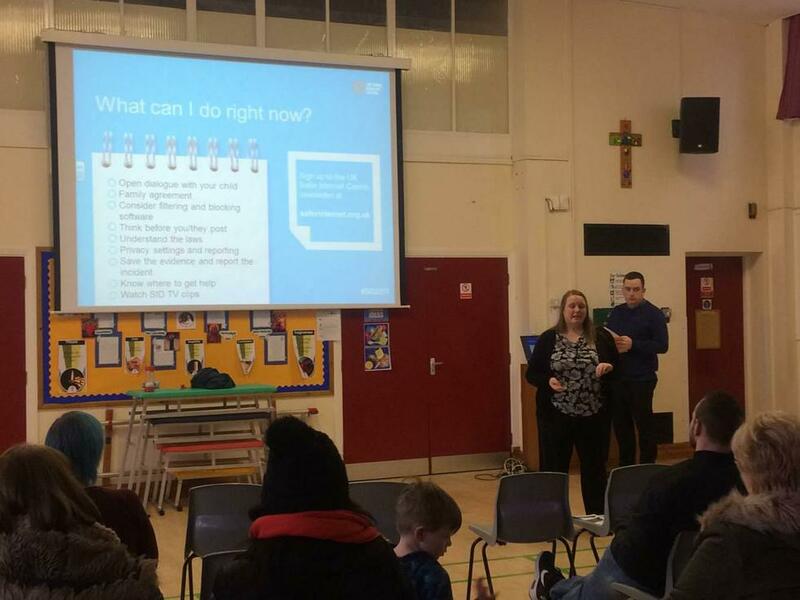 During our last day of Safer Technology Week, we had the great pleasure of welcoming parents into our school for a parent's workshop. We looked at different precautions that could be taken to ensure that technology is safe for children to use at home as well as introduce and revise any potential dangers that children might encounter. Thanks to all of the parents who came to either one of the sessions. The children spent the afternoon revising the SMART rules which should be followed when using the internet. Children created posters which could be displayed for younger children to show these SMART rules.